Apple has had a busy week. On the heels of introducing its new iPhones, an iPad Pro, and a revamped Apple TV, the company has released the GM for iOS 9 and watchOS 2, both of which will be available to consumers on Sept. 16. Not only that, but Apple has gone ahead and released the first beta of iOS 9.1, which looks like it's meant more for the iPad Pro, which is set for a release at the end of the year. There isn't much new found in the GM software that we haven't already seen throughout Apple's whole beta process. For all intents and purposes, the Golden Master is what consumers will get their hands on, so we're comfortable calling this "final" until iOS 9.1 hits later this year. If you haven't been able to keep up with our iOS 9 coverage, we've made videos detailing each new beta release that has come out since the summer. The arrival of iOS 9 isn't quite as important as previous software updates, though there are things like public transit directions inside of Maps, a News app, improved Notes, multitasking features for iPad, and a smarter Siri. 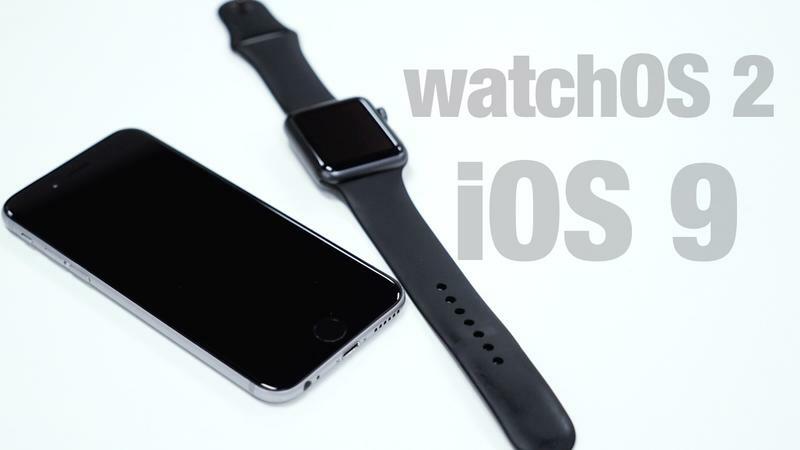 As for watchOS 2, this update is much more exciting. When the software hits, users will be able to take advantage of native third-party apps, a Time Travel feature, an improved watch face experience, and more. This is really the software the Apple Watch should have come with from the beginning, but better late than never. As for iOS 9.1, the most notable thing about the first beta is the inclusion of new emoji, which are always welcome. You can check out everything that's new with Apple's new software in the video above.